Members of Kianda Community based organization (CBO). From left: Joyce Kanyamba, Elizabeth Karimi, Japhet Gitonga, Mrs.Teresa, Margaret Muiruri, Benjamin Kithetu and Emma Kanjira. 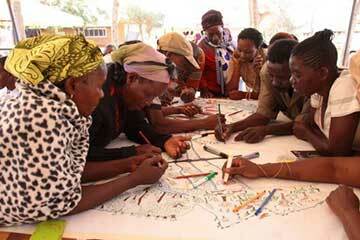 Photo courtesy of Institute for Culture and Ecology (ICE), a partner organisation of the African Biodiversity Network.